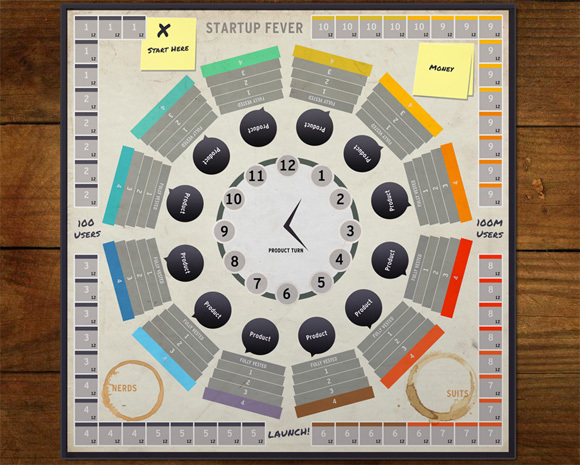 The players are company founders in Silicon Valley and manage money and employees (engineers, sales, executives) and allocate them to the right products. Investing in engineers creates better products, who attract more users, who in turn generate money. Investing in sales generates more money, which can be used to hire more engineers, but doesn't directly improve the products. At the end of every year, the best products steals users from the other products in a product showdown. 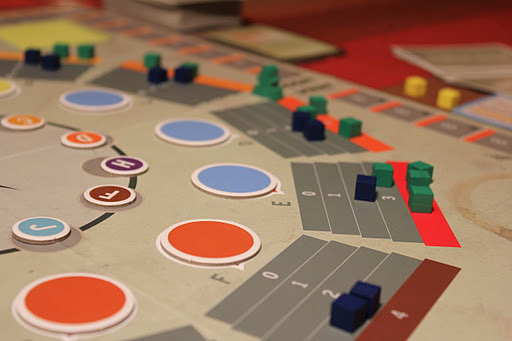 After an initial phase of frantic hiring, all available people are hired, and players need to hire employees away from other employers. Many players consider this poaching the most fun element of the game. The best strategy can fail due to bad luck, or unforeseen events. To win, a player needs to obtain the largest number of users across all products. Warning: This is a real 3D board game made out of dead trees. To play you need to physically be present in the same room as your friends. Louis Perrochon explains the elements of the board the components and hiring, vesting, retaining, and poaching. 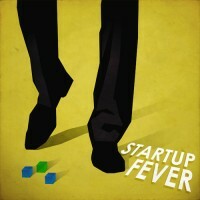 Add a Review for "Startup Fever"